235cc Competition Heads. The highest flowing 23° casting with standard port locations! 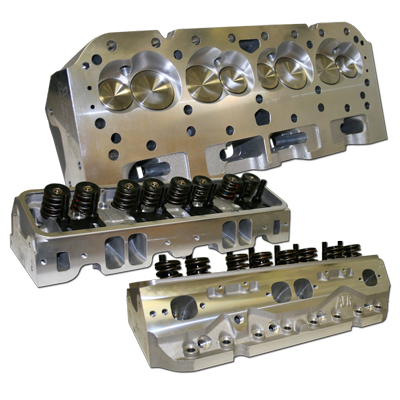 Features Fully CNC machined chambers and ports, 3/4" deck thickness and lightweight 8MM intake and exhaust valves. Perfect for 350-434 cubic inch engines normally aspirated, nitrous equipped or for blower applications.